From Vegas to Atlanta to Minneapolis for some reason. Reddit user Maiakai ordered a Plantronics USB headset two weeks ago, and after it, in his/her words, “took forever … to ship,” Maiakai got to watch as UPS apparently sent the package on a nice, long trip around the country. That’s when the poster uploaded the tracking results on Imgur to showcase just how circuitious the route from the warehouse to Maiakia’s home has become. It appears as though the headset’s journey began in southern Kansas before heading north to Minneapolis and then zigzagging across the country, only to end up in Atlanta, further from Maiakia’s final destination of Las Vegas than from where the idea of uniting a costumer with a headset was even birthed. The problem, though, isn’t necessarily that the package has seen the sights of Salt Lake City and Chicago. It’s that apparently it’s been on ground service this whole time. 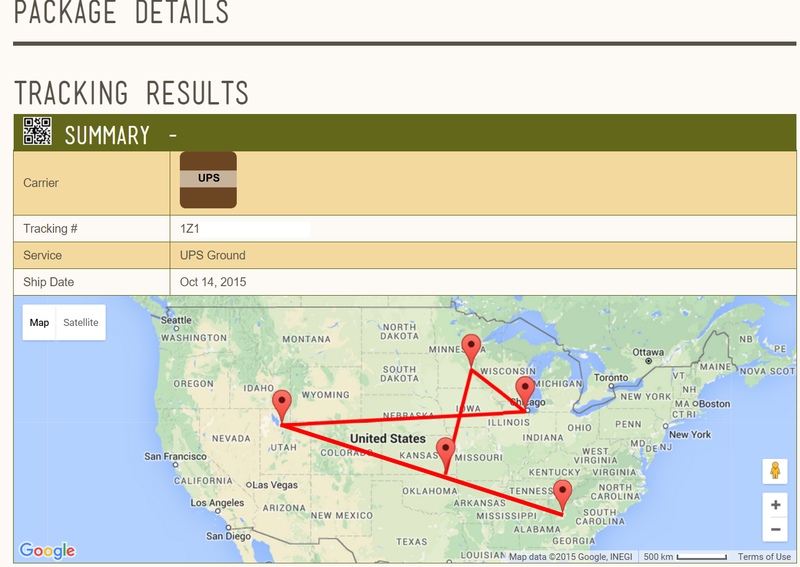 Oh, and it appears that the package is trying to draw itself as a pentagram. Or, quite possibly, the sign for infinity. Neither of which is ever a good sign when it comes to receiving your audio gear in a timely fashion.